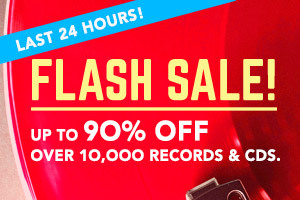 RECLOOSE Electric Sunshine vinyl at Juno Records. 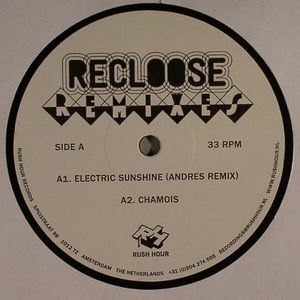 Juno favourite Recloose provides one original track here, while surrendering a further two for remixing. "Chamois" is a feel-good slice of vintage-sounding looped disco-house. 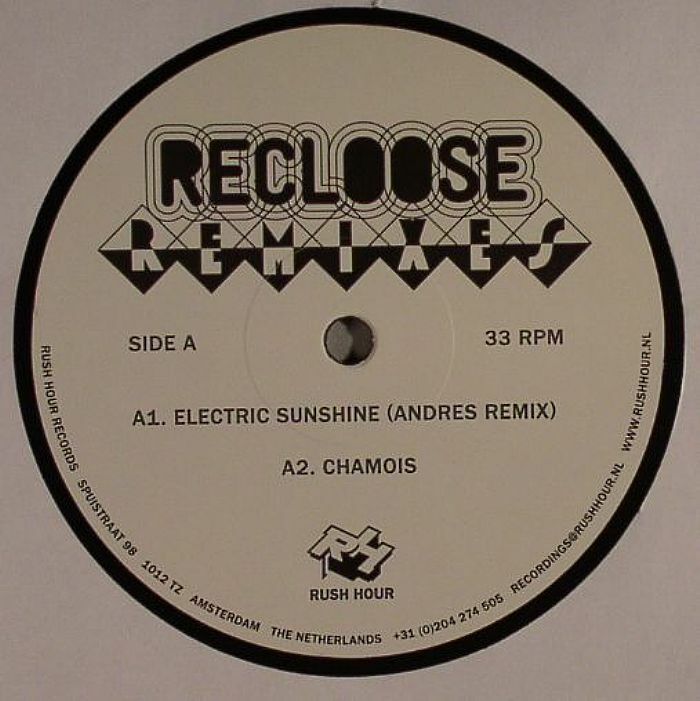 Andres' remix of "Electric Sunshine" is a killer, percussion-heavy house-funker with a cool, if slightly spooky, warped synth melody. 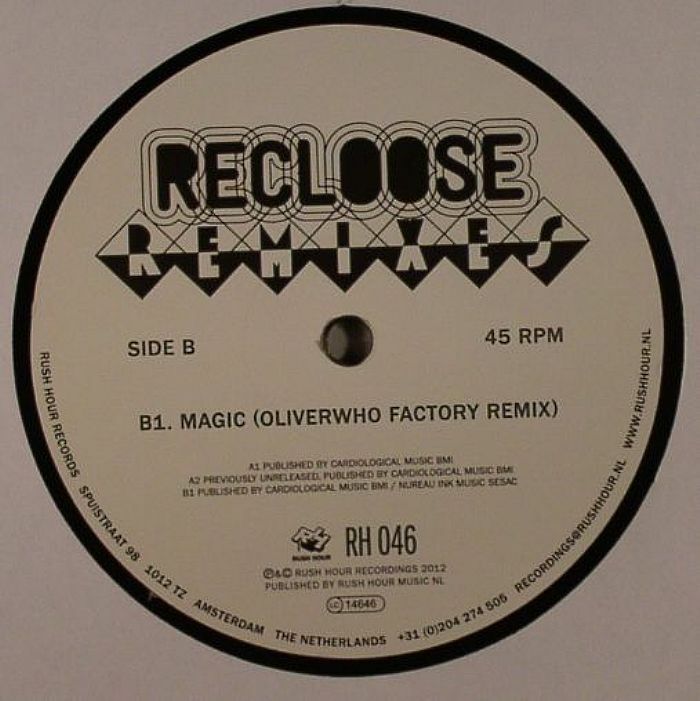 Finally Oliverwho Factory take "Magic" and give it a techy old school house makeover which is, frankly, a blinder.